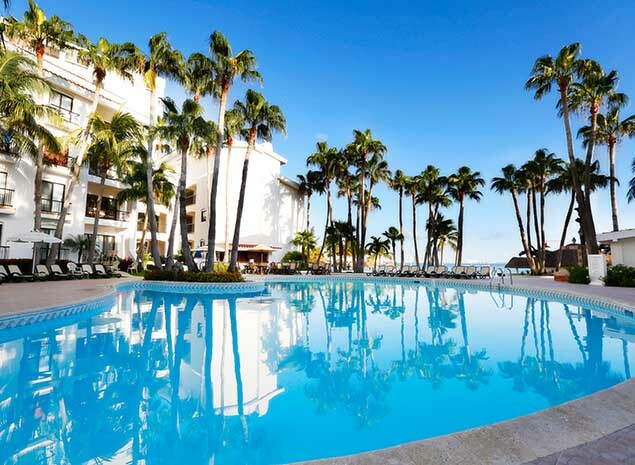 Book now those summer vacations you have been waiting for with your family and friends. 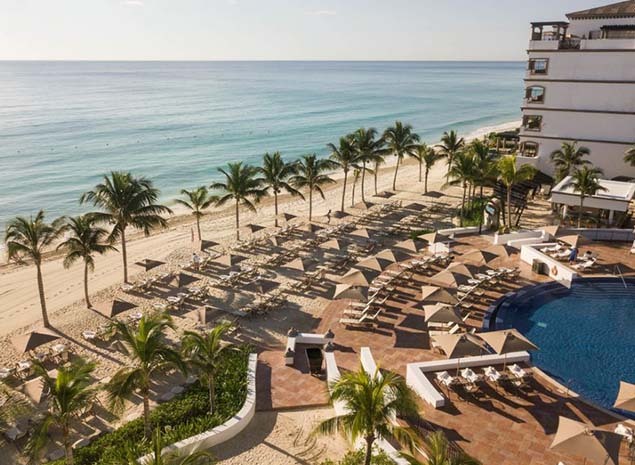 Stay in any of our Cancun or Riviera Maya resorts, facing the stunning turquoise Caribbean and offering the great amenities and services of our All Inclusive or Accommodation Only Plans. 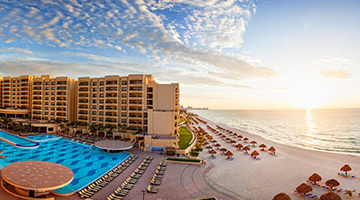 Get with this offer up to 56% discount on your reservation. Travel between June 8th - September 20th. 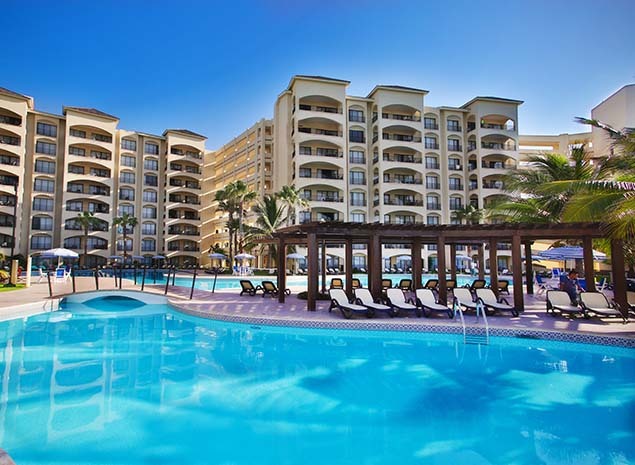 Book now in All Inclusive or Accommodation Only Plans and start enjoying. 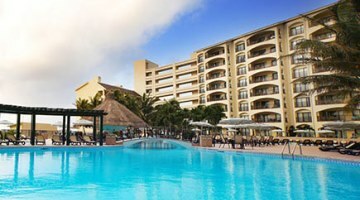 Live an amazing Cancun vacation, unwinding on the beach and with fun activities in this beachfront family resort. TERMS & CONDITIONS: * Tour Credit: The Tour Credit must not be considered as cash money. Is per reservation and it can only be redeemed at the Thomas More Travel Agency desk. For the All Inclusive: some surcharges will apply for premium food and beverages; it is indicated on the restaurants menu. Limited Room Service menu avilable 24 hours. Children stay & eat Free: Children up to 12 years old can stay for free using the existing beds, there is no extra beds or rollaway beds available. Children can eat for free accompanied by their parents. *Restrictions: The minimum lenght of stay is 4 nights, however this may vary depending on the season. 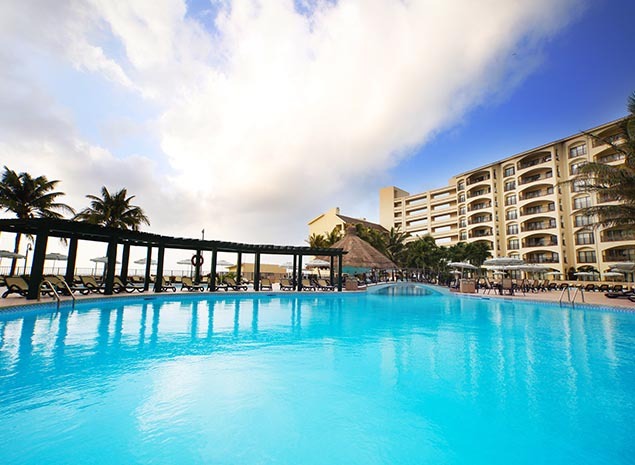 Let us pamper you with a perfect Cancun Vacation with your loved ones in one of the best Beach Resorts in Cancun. 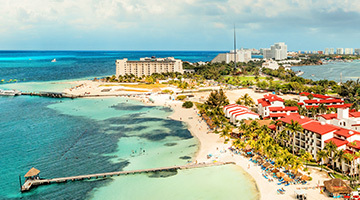 Experience an unforgettable All Inclusive Playa del Carmen vacation in the beaches of the Mexican Caribbean with this offer. 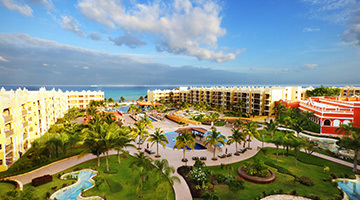 If you want to live a one-of-a-kind vacation in the Riviera Maya beaches, then take advantage of this offer in a luxury resort. TERMS & CONDITIONS: * Resort Credit: The Resort Credit must not be considered as cash money. 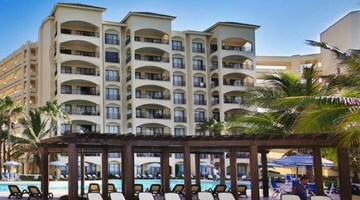 Is per reservation and it can only be redeemed at the front desk upon chekout. * Spa Massage: The One 30-minute Spa Massage is valid for two people, one time. Service requires reservation in advance. Tips for massage service are not included. * Children stay & eat Free: Children up to 12 years old can stay for free using the existing beds, there is no extra beds or rollaway beds available. And they can eat for free accompanied by their parents. * Airport Transportation: One roundtrip service (airport-hotel-airport) is included. 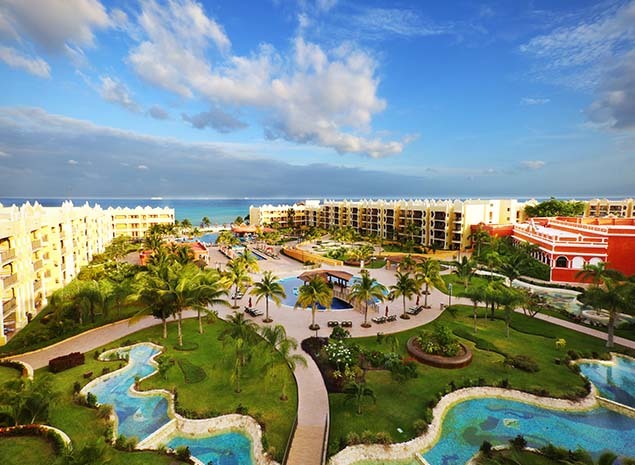 Guest must contact the Resort at least 48 hours prior check in to arrange the transfer from the airport. * Restrictions: The minimum lenght of stay is 3 nights, however this may vary depending on the season. 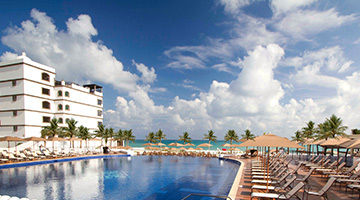 Book now with Royal Reservations and enjoy your Cancun vacations anytime of this or the next year! TERMS & CONDITIONS: * Tour Credit: The Tour Credit must not be considered as cash money. Is per reservation and it can only be redeemed at the Thomas More Travel Agency desk. Children stay Free: Children up to 12 years old can stay for free using the existing beds, there is no extra beds or rollaway beds available. Meals: Meals and beverages are not included. *Restrictions: The minimum lenght of stay is 4 nights, however this may vary depending on the season. 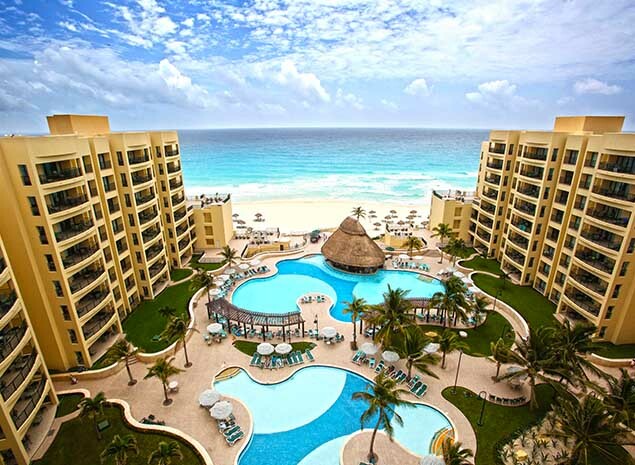 This is the perfect time to go on vacations and with this special promo, you will live the best of Cancun with Royal Reservations!